Are you looking for a career in a fast moving and growing technology company. 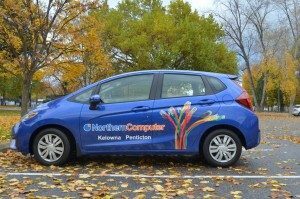 Northern Computer is always looking for people that will excel within our organization. We financially reward employees for their contribution and provide a working environment that promotes personal and professional growth. If you would like to apply for one of our job opportunities and you are outgoing and possess the ability to think quickly, email us your resume and cover page. The successful candidate will be comfortable working in a fast paced, deadline driven environment that requires exceptional time management and organizational skills. You should have network certifications and/or a college diploma for our specific industry coupled with 2 – 5 years of related work experience. Excellent written and verbal communication skills and the ability to take initiative, working with minimal supervision are a requirement. We require a strong technical background and experience in a variety of network and PC environments including experience with all aspects of Windows operating systems including MS Small Business Server 2003/2008/2012, MS RDS, MS Exchange, SQL, Cisco, VMware and other virtualization platforms. You need to be familiar with setup and maintenance of a broad range of networking equipment, including switches, routers, firewalls, VPN gateways, and PDA’s. You should have experience dealing with business users and recommending effective solutions. You will be expected to work the flexible hours necessary to meet the demands of our clients. · Want to be part of a great team and contribute to the growth and development of a rapidly expanding company. We offer a great team environment, competitive compensation and a great benefits package.